Darling is a run-of-the-mill Tollywood standard story with a love triangle and the mafia thrown in good measure. Prabhas (Prabhas) is in deep love with his childhood friend Nandini (Kajal Agarwal) who lives in Switzerland. 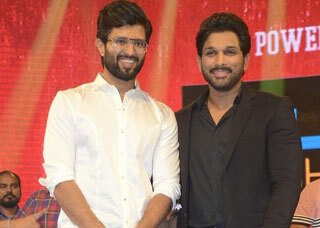 Their fathers Prabhas father (Prabhu) and Nadini’s father (Ahuti Prasad) are college-mates and thick friends. Nandini and her parents are due to arrive in India on a vacation and Prabhas looks forward to meeting his childhood love. Mwanwhile, Nisha (Shraddha Das, daughter of a doting father (Mukhesh Rishi), is deep love with Prabhas. The only glitch is that Nisha’s father is an underworld don and he would go to any length to keep her daughter happy. Who will end up with Prabhas? Nandini or Nisha? The answer to this question leads to the climax. Prabhas is ebullient and attractive. Kajal and Shraddha fill up the glamour quotient. Prabhu and Ahuthi Prasad are as usual very convincing and credible. Mukhesh Rishi is a bad man personified. All others fit their roles well. The the storyline is old hat, the presentation is good. The screenplay adds to the narration value. Director Karunakaran adds a touch of realism as well as fantasy to the narration. Music by GV Prakash is good. Andrew’s cinematography is vibrant.